This is a fun activity for younger kids to do with a bit of help or older kids to do as a gift for Valentine's Day. Preschoolers and school children can practice their cutting out and pasting skills, while toddlers can work on the fine motor skills associated with composing a collage and sticking down paper to produce an artwork they will enjoy creating and giving. No matter how young they are, kids will be able to create a Valentine's Day Collage which looks great and is easy to produce. They can give it to their mum or dad or maybe their best friend once it is made, which is perfect for teaching the social skills that it is lovely to give and share. 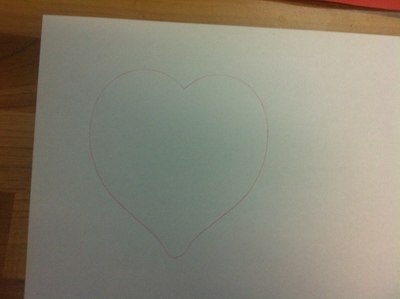 Draw a heart shape on the piece of red paper. Cut the heart shape out. 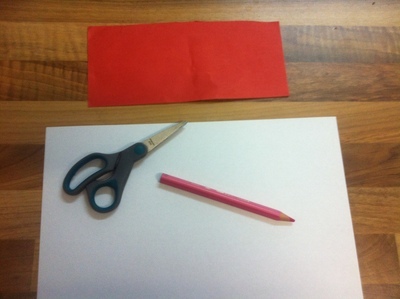 This can be done by adults for younger children, or by the children themselves if they can use scissors well. 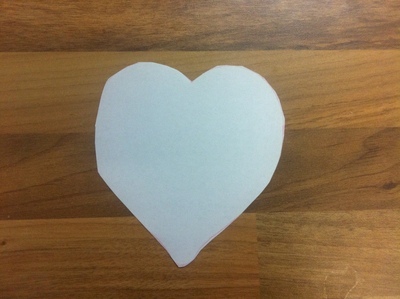 Hearts can be a little more difficult than regular shapes for young children to cut out, so they may need some assistance with this. Glue the red pieces onto the heart. For a younger child, you could get this activity ready and introduce it to them at this stage. 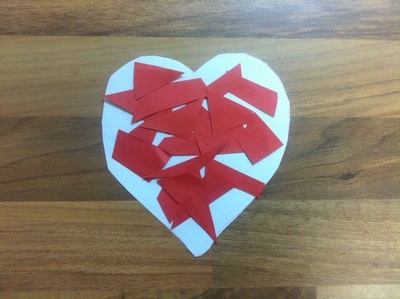 If they are really young, you can put glue onto the heart and show them how to stick the papers down onto it. 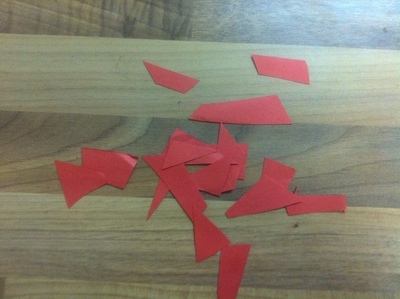 Older kids can use the glue themselves to create the collage.